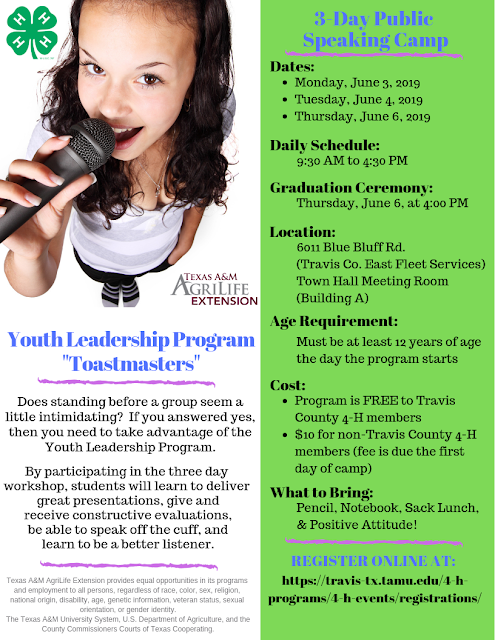 Our Youth Leadership Program is going to take place on June 3rd, 4th, & 6th this year! Come join us as we will do some in-depth learning about public speaking, along with tips and techniques, as well as develop and present three, 3-5 minute speeches. 512-854-9600 or MLMickelson@ag.tamu.edu at least 2 days prior to the program.